It has been for 1year since we moved to U.S.A. But it is still difficult for me to listen and speak English. I usually use English at grocery store. I didn't used to like to be told like 'how are you?' at store. I got to used to it, but I'm still confused when I am at check out counter. I automatically answer 'good.' But it is wrong. I am supposed to say 'not much. 'or 'nothing special.' Oh,gosh, please ask me same sentence every time! Additionally, it has been taking a cost on the bag since this year. But the cashier asked me '……………………?' the other day. I automatically answered 'No. I have it.' Then,her face changed strangely. The ship had sailed. I was so ashamed. I went to BED BATH & BEYOND , today. It was so fun. 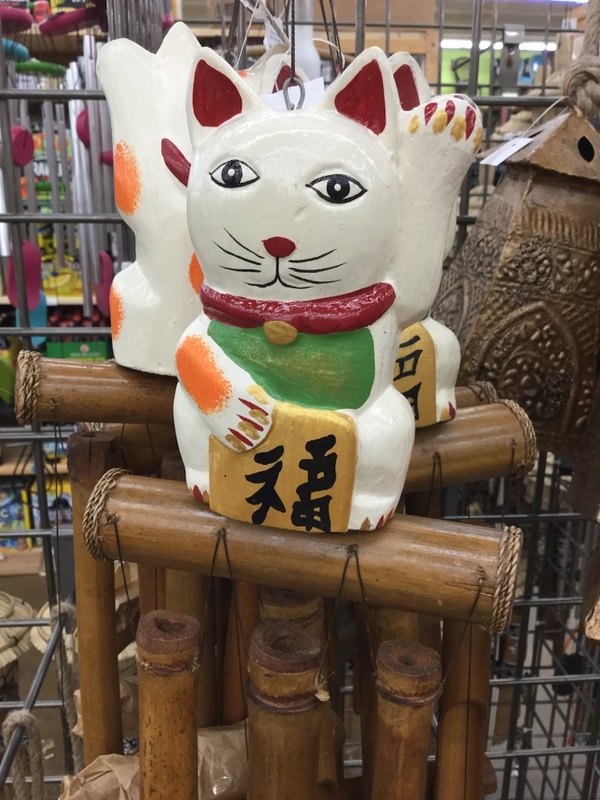 I also went to World Market, and I found interesting thing.